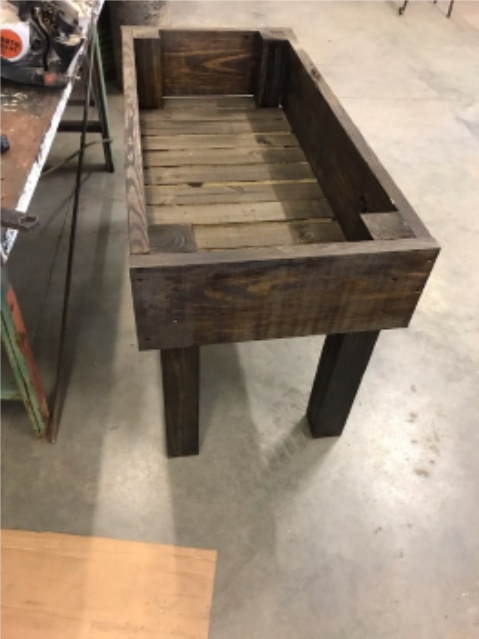 The MCHS FFA Ag Mech students are constructing Planter boxes. These boxes are perfect for outdoor on porches patios or in your yard! Constructed from treated lumber and sealed with a water proof stain. Box dimensions are 2ftX4ft and stand at 30 inches. Cost of the box is ONLY $75 this is strictly to cover the cost of the materials used. Free delivery in county is available! E-mail Tyler Reeves at tyler_reeves@mitchell.k12.ga.us to reserve or order a box to your dimensions!